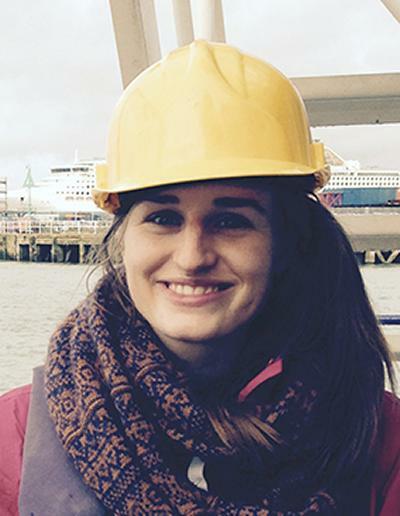 I chose to study Engineering in the Coastal Environment at Southampton because after completing my undergraduate degree in Physical Geography I wanted to continue to study the aspects of my course that I most enjoyed which was all things coastal. The location, facilities and the teaching staff expertise made Southampton the perfect place to study. Many of the teaching staff had great links to industry, which made gaining professional experience easier. The best things about studying at Southampton were the great opportunities that were available to every student. Many of the teaching staff had great links to industry, which made gaining professional experience easier. The access to the facilities at the NOCS meant that carrying out research on the Callista research vessel and undertaking lab work gave an exciting practical element to the course. The course involves lots of teamwork and as a result I have made some very good friends. The standout highlight during the course were the many field trips, it always helps to see process' in action and trips to the Isle of Wight and being out on R.V. Callista will always stay with me. Since graduating, I've joined an engineering infrastructure consultancy based in Bedford. The coastal hydraulic modelling that I learnt during the MSc has allowed me to transfer the skills into river hydraulic modelling of which I have introduced to the company. In the future I want to continue to gain further knowledge and experience in my current field; I would also like to become chartered. For advice to future students, I would say to try and throw yourself into the course and take every opportunity you can. It can be tough and overwhelming at times but your fellow students and professors will always be there to help.